Thank you for taking some time to visit our website today. Many of you are aware that we are an organization dedicated to honoring the guarantee of perpetual care as promised to the families of the deceased by prior cemetery proprietors. This promise was made as a way to ensure that the dearly departed would rest in eternal peace. Unfortunately for a variety of reasons throughout the years this promise was broken, often leaving these once cared for cemeteries to become neglected. Neglect has resulted in the grounds becoming overgrown by tall grass, small trees, vines, and other forms of brush leading to headstone and monument damages. Dedicated volunteers are working hard to right this horrendous wrong. We need your help in our continuing mission to restore and preserve neglected and abandoned cemeteries in Harrison County WV. We are dedicated to restoring the grounds and damaged headstones to as near original condition as possible and continuing to maintain the grounds as they should have always been. We interpret perpetual care as including – to keep the memories of those laid to rest alive. We honor our interpretation through social media outreach, researching obituaries, birth records, historic accounts associated with the individual and sharing what we learn through our social media streams creating a living repository accessible to the public. The HCWVCPA offers a few unique ways you can help contribute to our cause. All donations are tax deductible and receipts can be delivered by request either by mail or email. Shop directly with us in our online store! If you are interested in donating your time and energy in the restoration of our current and future locations, please contact us directly as soon as possible for more information on our restoration schedule and when you may participate. 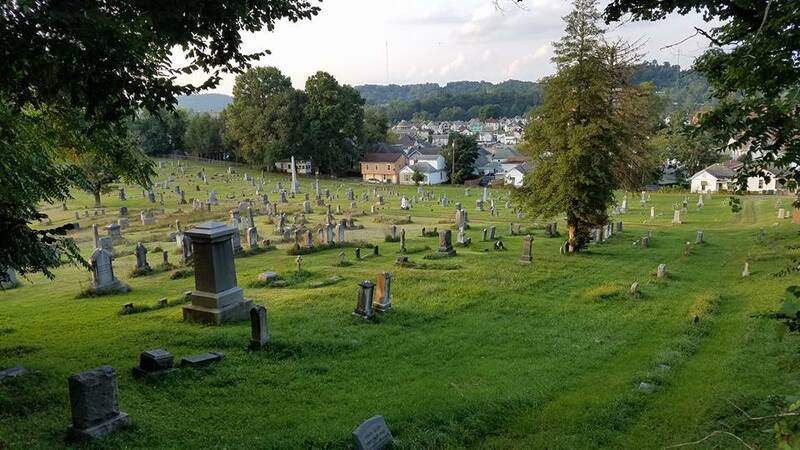 Amazon will donate 0.5% of the price of your eligible AmazonSmile purchases to Historic Clarksburg Wv Cemetery Preservation Alliance Inc whenever you shop on AmazonSmile. Thank you so much for supporting Historic Clarksburg WV Cemetery Preservation Alliance Inc and Wreaths Across America!